Full disclosure: I’m the digital media manager for Airbnb Hell, a website where hosts and guests can voice their frustration at each other and Airbnb as a company. The owner, Dan, and I just finished a new book covering tips and revealing some of the most telling stories we’ve had on the site. Check it out if you’re an Airbnb user. Ironically, I haven’t had the chance to use Airbnb too often in my travels. The main requirement the company was created to fulfill was to provide budget accommodation in bigger cities where hotel rooms could exceed $200/night. Because I generally travel to developing countries where private rooms can be booked for $10-20/night, Airbnb didn’t seem necessary. There have been a few exceptions – bouncing around San Francisco, looking for single rooms in Hong Kong – but for the most part I’ve steered clear of the platform. 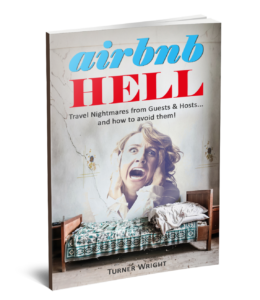 When you consider some of the Airbnb horror stories people have experienced, you begin to realize that using the site is quite the gamble: on occasion it may pay out well, but for the most part, the house always wins. One of the most common problems Airbnb guests report is having hosts cancel their reservations days, sometimes hours from their arrival. While having days to prepare alternative accommodations may not seem like a big inconvenience, consider the fact that you’re probably choosing an Airbnb in a big city for a major event, like SXSW in Austin. Hotel rooms may be booked out months in advance, and Airbnb offering little reliability from their hosts can leave visitors on the streets if they’re not careful. Wherever there’s money being exchanged, there are going to be people who try to take advantage of the system. Airbnb is no exception. The most common scam is for a “host” to list a fake property in a touristy area, providing beautiful photos and low prices designed to attract the majority of guests. Unfortunately, when the guest is conned into clicking on a link on the site and sending money directly to the “host” rather than through the Airbnb platform, sparks are going to fly. Airbnb largely hasn’t addressed this problem. Fortunately, I haven’t been scammed, attacked, or victimized in any way on the platform. I have been put up in divided rooms with scant heating, little security for my belongings, and surrounded by screaming children, but that’s to be expected. Around the Bay Area, I’m noticing an increasing trend of hosts converting their properties into dorm rooms filled with the cheapest possible furniture to maximize the number of guests, and, consequentially, their profit. Although it’s certainly possible to find entire units leased from owners on vacation for a week or two, the pattern seems to find a shared place for a guest to sleep and little else. What’s been your experience with Airbnb around the world?